Welcome to our newest supporters! 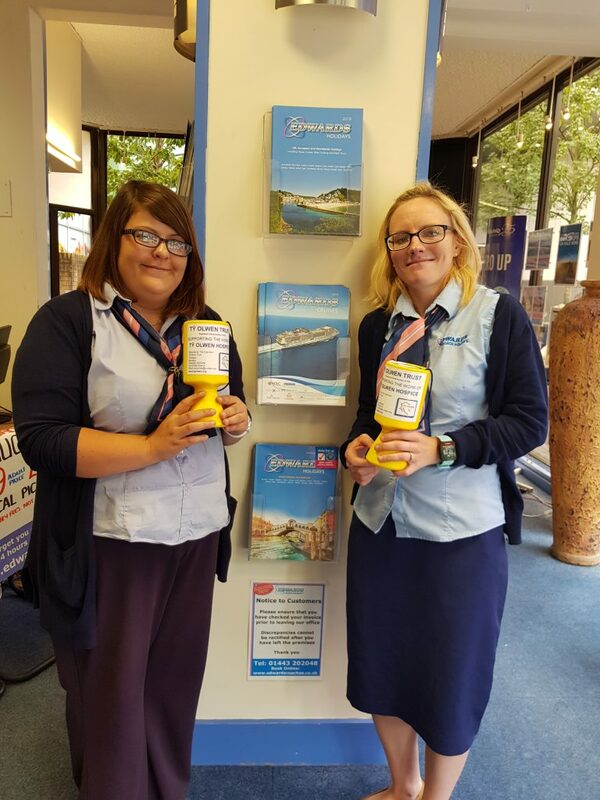 Edwards Holidays in Plymouth St, Swansea have recently taken collecting boxes. Pictured with Jessica Davies, assistant manager is Nicola Hendy who is running the Port Talbot Half Marathon on August 12th. A coffee morning is also planned in early September.